Both are attributed (by Wikipedia and MapofWorld.com) to frenchman Baron Pierre de Coubertin, as inspired by speeches he heard from Dominican Father Henri Martin Didon (the motto, 1894), and Bishop Ethelbert Talbot (the creed, 1908). 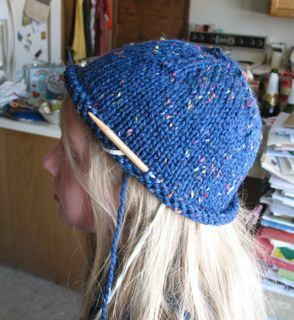 So much knitting (and so little blogging, either writing or reading) has been going on, mostly in conjunction with the Knitting Olympics/Ravelympics. 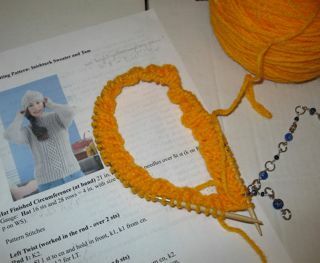 During the Opening Ceremonies, I cast on for Lion Brand’s free pattern, the Inishturk Tam, a simple cabled hat, using a gifted ball of mystery yellow-orange acrylic that gives me 4 stitches x 6 rounds per square inch on US 9 needles. 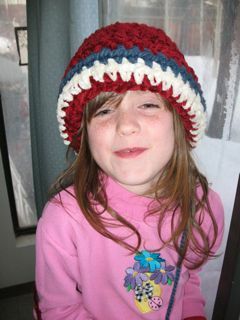 I have made a few modifications. . . .
1) 6 multiples of the pattern instead of 7, to get a child’s size. 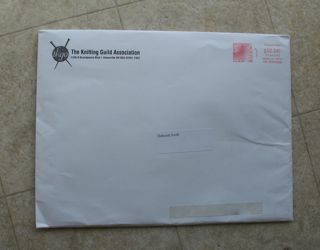 Leading to…. 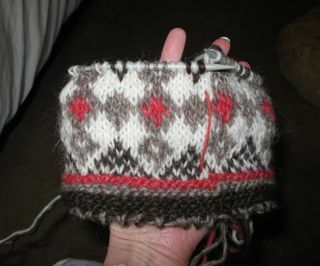 2) casting on 80 stitches for the ribbing. 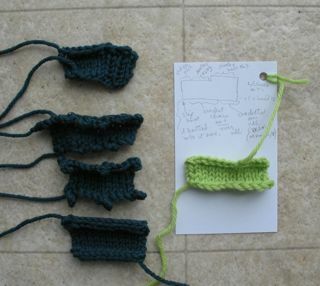 I had to cast on 3 times before I got it right! 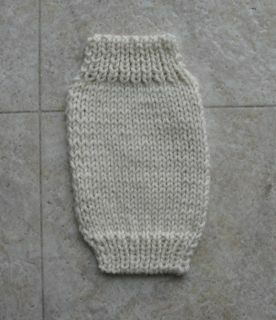 3) fewer rounds of ribbing and of cabling, again because I want a smaller end-size. 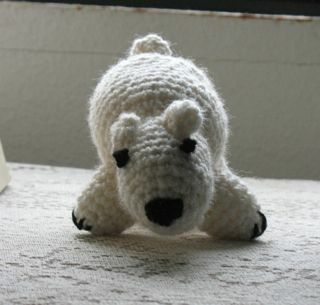 4) working my left-twists without a cable needle. 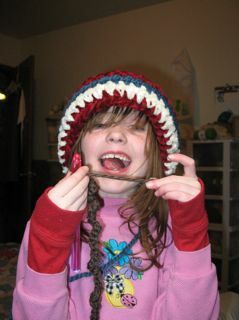 5) twisting the knit-1 columns on either side of the braids, by k1tbl, because it looks better to my eye. 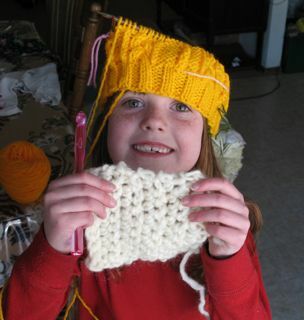 Youngest DD wants you all to see her first-ever square of single crochet! 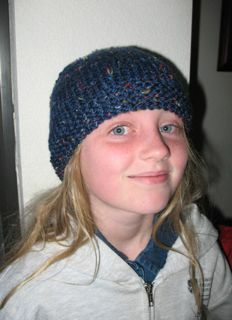 I taught her on Monday while she and her sister were home for Presidents’ Day school holiday. 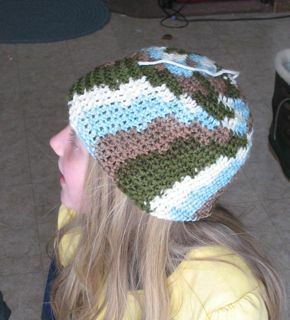 She has since moved on to double crochet. On Sunday, I switched gears. 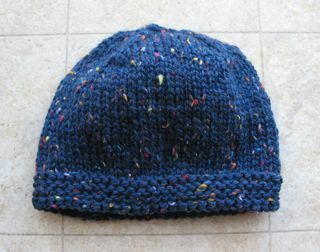 I decided to see if I could start and finish a cap in one day! And I did! 😀 LOOKIE!!! I GOT A MEDAL! 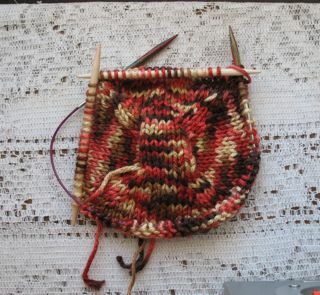 Start by working a 1" stockinette square. 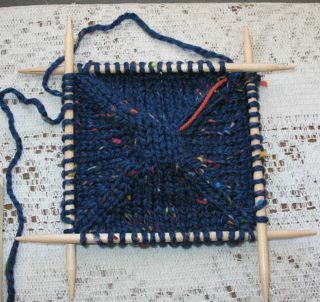 Then pick up stitches on all 4 sides. Work paired increases at 4 points eor until "big enough". 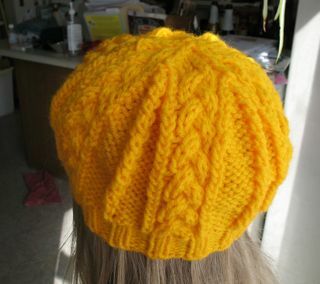 Put onto 16" circular needles, if desired. 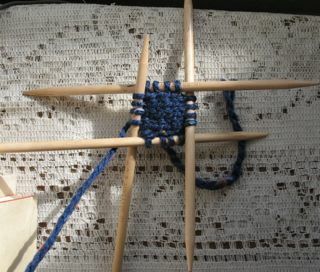 Work even until "long enough" to begin band: rolled, ribbed, or other. 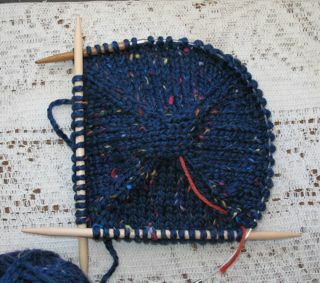 Work bottom band and bind off stretchily. 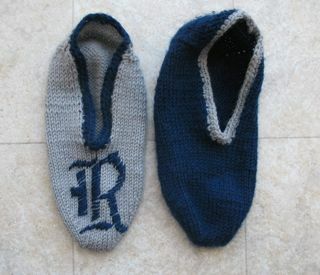 Tuck in ends. 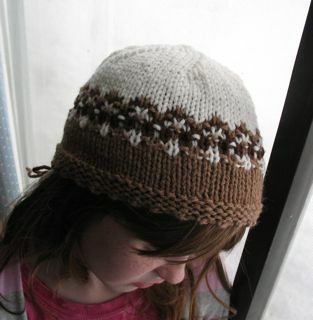 Let the (Knitting) Games Begin! 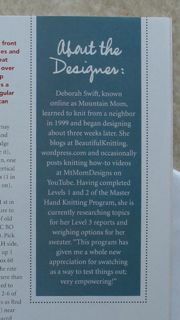 edited on 2/13 to add this video I watched today, by Cat Bordhi on the use of letter stitch-markers. 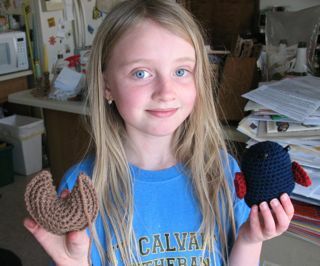 What do *you* think about her assertion that, in 5 years, lots of pattern-writers like herself will be writing their patterns to include letter markers. 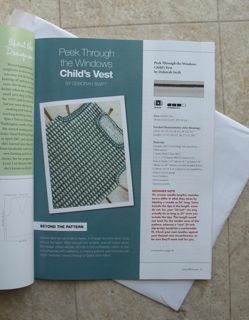 My First Magazine Pattern came yesterday! The “change of life” is. . . interesting. Yesterday was the 99th Day since my last menses and. . . surprise! 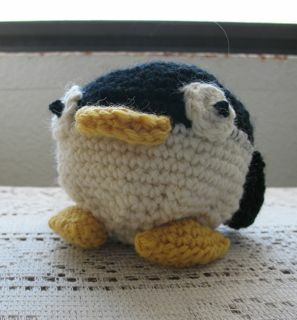 I’m feeling moderately awful, and — perhaps worst — met a new-to-our-church knitter yesterday and probably didn’t make as good a first impression as I would have liked. Sigh. 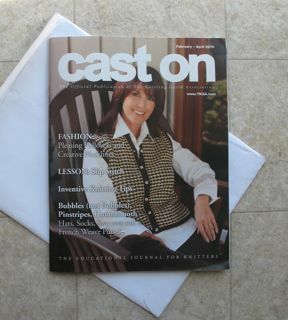 But this news is too good not to share: the spring issue of Cast On showed up in my mailbox yesterday with my first-ever published-in-a-magazine pattern inside!!! 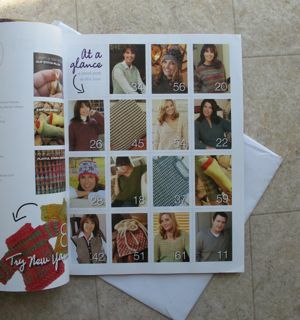 That's MK-friend Leslie's vest on the Cover!